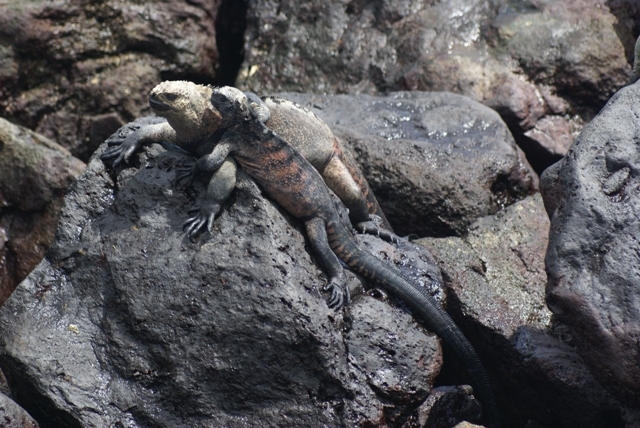 The marine iguanas at Floreana were quite a bit bigger than the ones we had seen on San Cristobal and more colourful. 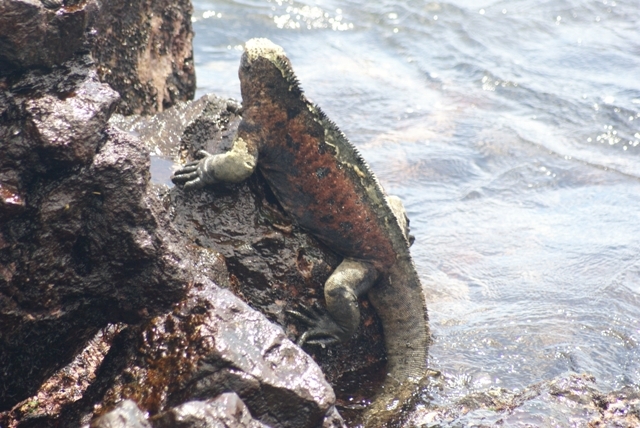 Different islands have different sizes depending on the abundance of food - the algae growing on the rocks under the water. 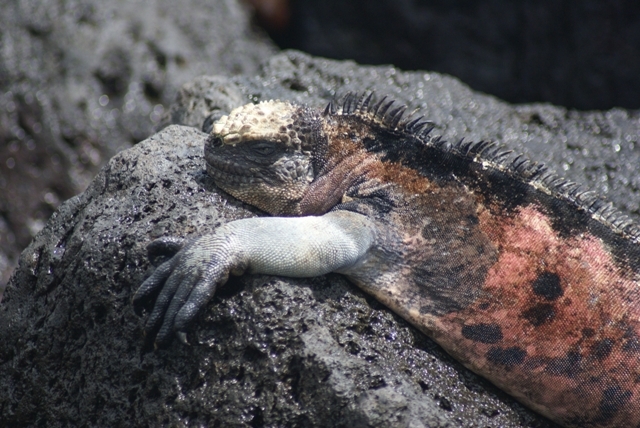 This one is 3 to 4ft long. 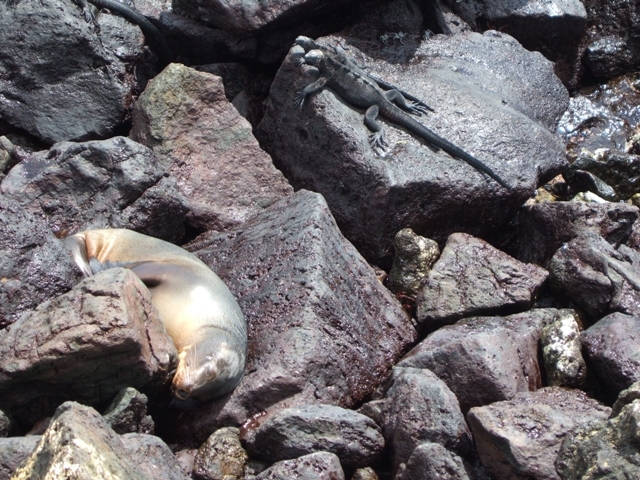 Sea lions and iguanas bask in the sun side by side on the rocks.